Using food to heal communities and individuals, one bite at a time. ​EXPERT CHEFS ARE WORKING WITH NUTRITION SCIENTISTS AND DR KENNEDY TO CREATE A TEXTBOOK IN CULINARY MEDICINE BASED ON A VALIDATED MODULAR DELIVERY SYSTEM. Join Dr. Deb where we focus on making just one simple change a month. "What an awesome resource for our families! To be able to provide this excellent information in their native language not only helps our parents but also meets federal mandate requirements...to be able to do this at NO cost to our school is a blessing!" "We all enjoyed your newsletters last year. I received many compliments from parents about the information in your newsletters." 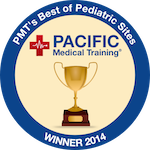 Buildhealthykids.com won the PCT "best Pediatric Site in 2014! We really have changed the way we eat in a lot of ways. What I love best about the program is that you don't have to be a "good cook" to change the way you eat. Let me know if you are going to have another session. My daughter's fear of new foods was a real challenge. She was not only resistant to trying new foods but also was afraid to try foods that "looked funny" or had a lot of texture. Build Healthy Kids helped her learn about the importance of eating healthy food, and made her more open to tasting a new food by encouraging her to try "just one bite" and by giving us tips on both food preparation and serving suggestions. "Learning to be a label detective was fun. I know how to read labels to make sure I'm eating foods that are good for me - not too salty or too sweet." 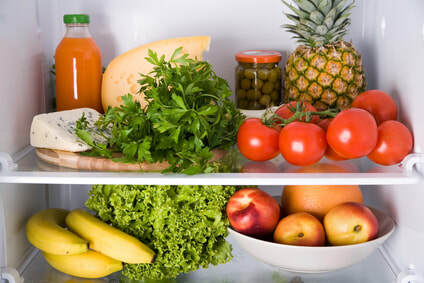 Dr. Deb offers clear, concise, and practical advice for busy parents who want to provide healthy food options to their kids. Her advice and approach is not only grounded in medical research, but also done with a genuine love for kids and their parents.